For the quilting I kept the background simple with 1/2" horizontal lines. I tried 1/4" lines but it was too distracting and took them out. Speaking of taking out quilting. 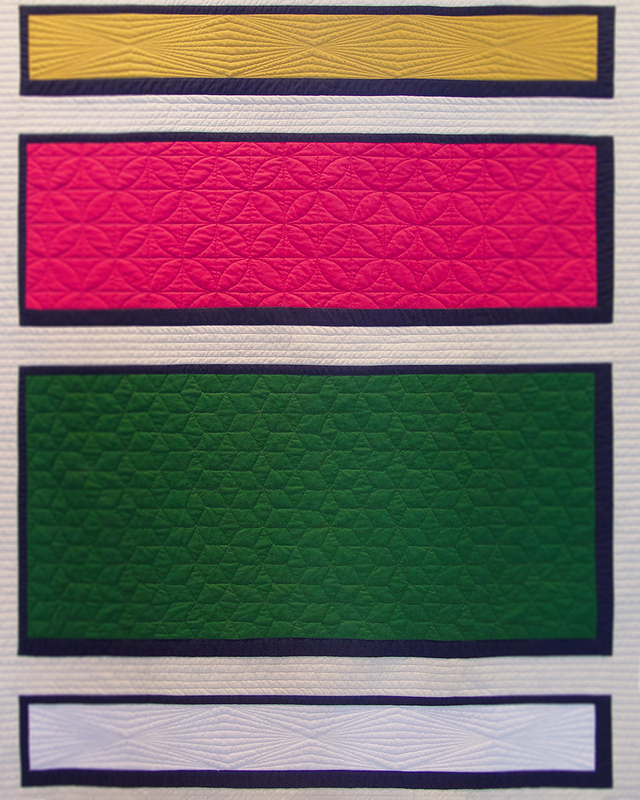 The first attempt to quilt the pink section with an orange peel didn't go so well. I anchored the square by quilting the frame first, which worked fine in the other three squares but for the pink it was a bad idea. Instead of stopping I was convinced it would be fine if I just kept going, it wasn't. In the end I took it all out and re-quilted the pink square before quilting the frame. 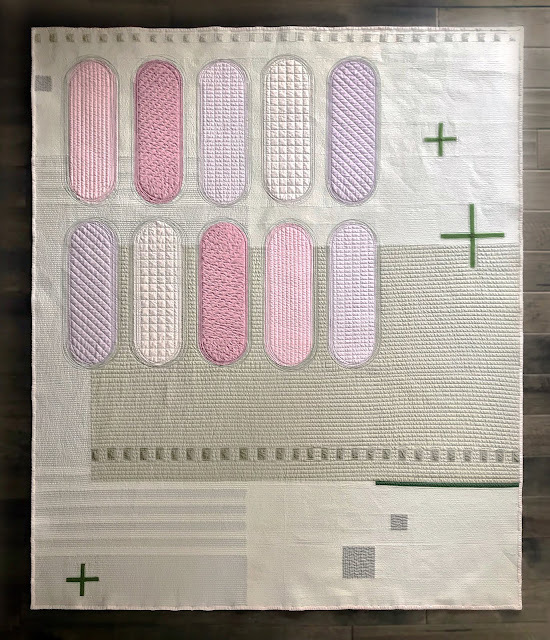 The reason I'm blogging about this quilt now is because it was not accepted for publication in Curated Quilts Issue 3. I'm perfectly fine with that. 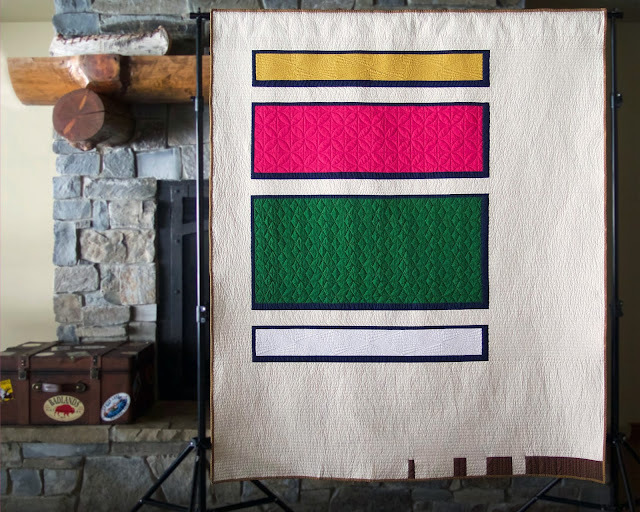 I currently have a pattern in Curated Quilts Issue 2: Log Cabins and part of getting designs accepted is having others not accepted. I thought about submitting it to another magazine but now I'm thinking of offering it as a free pattern at some time in 2018. 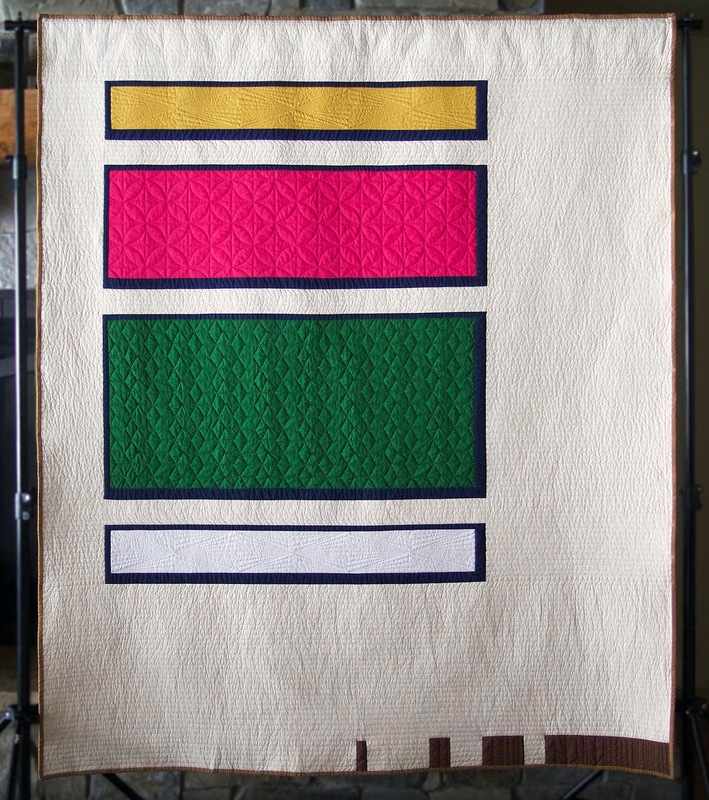 I did, however, receive notification that the quilt I made for the Curated Quilts mini challenge was accepted! There is also a chance that the folks at Curated Quilts will choose this mini to hang in their booth at QuiltCon... we'll see. In addition to my mini another member of my local guild had her mini accepted too! 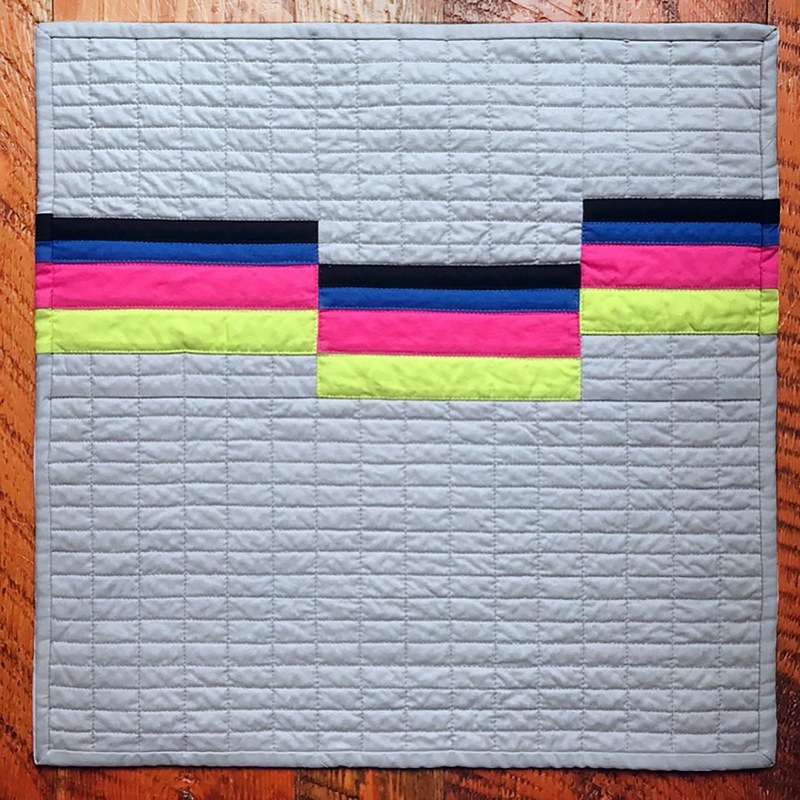 I really enjoy the Curated Quilt challenges as a way to explore different quilting themes. I hope I've encourage some people to submit their work for publication or in shows. 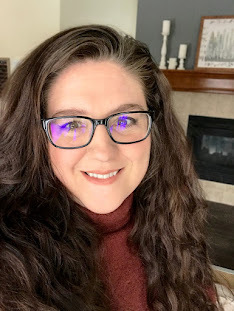 I know it's not for everyone but if it is something you have been considering, go for it! Not all my quilts or designs are accepted and rejection is just another part of the process. My one caution is not submitting a quilt that you are attached to emotionally. In that case a rejection may be too personal but if it's something your proud of and want to share submit away.